Walter Adams, a graduate student in microbiology and environmental toxicology, will be the "scientist in residence" for the new Science Community at Oakes College. Oakes College is offering a new residential program for science and engineering students at UC Santa Cruz this fall, featuring a graduate student "scientist in residence" who will organize science-related programs and activities for about 70 undergraduates in a dynamic living and learning environment. The Oakes Science Community, located in the Bantu Stephen Biko House residence hall, provides students who are interested in science and engineering majors and careers an opportunity to live and learn together in a supportive environment. According to Kimberly Lau, Oakes provost and associate professor of American studies, the program builds on the success of the Science Learning Community, a program at Oakes, Crown, and Merrill Colleges that provides support for science students through study groups and peer mentoring. "It is important to provide these kinds of co-curricular experiences, because students learn so much outside of the classroom," Lau said. "The Science Community extends the ideas of group study and group learning into the residential environment, which offers other benefits as well. We are fortunate that our endowment enables us to fund a graduate student to serve as scientist in residence and really launch and build the Science Community at Oakes." 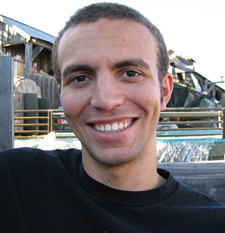 Walter Adams, a graduate student in microbiology and environmental toxicology, will be the scientist in residence for the 2010-11 school year. "It's going to be a great experience," Adams said. "We want to provide access to cutting-edge research through faculty presentations, foster student success through mentoring programs, and create an intimate environment in which undergraduates can be exposed to the many different science opportunities that UCSC has to offer. I hope it will encourage students to pursue activities and careers in science that they might not otherwise have known are available to them." The Oakes Science Community is one of several new theme housing options available at the colleges. Others include the Writer's House at Kresge College and Indigenous Peoples Hall at Merrill College. Theme housing provides students an opportunity to live in close community with others who share a common interest. A complete list of all theme housing at the colleges is available online from Student Housing Services. "Theme housing options are available at each residential community and are meant to enhance a student's experience while in residence. A variety of options are available based on academic pursuits, individual backgrounds, and lifestyle preferences," said Kevin Tresham, assistant director of Student Housing Services. Lau noted that the Science Community at Oakes is rooted in the college's historical commitment to diversifying the sciences and to mentoring students to succeed in their endeavors. "Student participation in the Science Community can provide the support and experiences that will help traditionally marginalized students be successful in the sciences," Lau said. "Several of our faculty fellows have expressed interest in programming specifically designed to increase diversity in fields like computer engineering, astronomy, biology, and math, and the Science Community will offer them concrete ways to bring more students into their fields." More information about the Science Community at Oakes is available in the Student Life and Housing Guide for Oakes College.